Birthday’s are for everyone. Whether it’s a first birthday or a 90th birthday, a birthday is something everyone celebrates! Make your next birthday party the best it can be with Popolo Catering! The type of birthday party catering will vary from birthday celebration to birthday celebration, which is why Popolo Catering offers such a varied menu. A child’s birthday may include simple foods they love, such as BBQ chicken, puff pastry pizzas and cheese enchiladas. For a more elegant birthday party, a great choice would be a family style meal with items like, Top Sirloin, Garlic Mashed Potatoes, Tossed Baby Green Salad w/ Rosemary Balsamic Vinaigrette and Focaccia Bread. Our menu is as versatile as your guest list, so finding a favorite is easy and makes planning the food for your party stress free and easy. But what’s a Birthday without cake? Popolo Catering works with established bakeries to offer our clients the best cakes that are available today. Cakes are available in many different sizes, colors and flavors and are made to your specifications. We also offer Tiramisu and cheesecake for an added elegant feel, as well as a dessert tray, which holds an assortment of everyone’s favorite sweet treats. Our birthday catering service includes all of the paper products and condiments you need to make your party a success and with our easy take out option or FREE delivery option, you can rest assured knowing that your birthday party has all the elements it needs to be a celebration worth remembering. 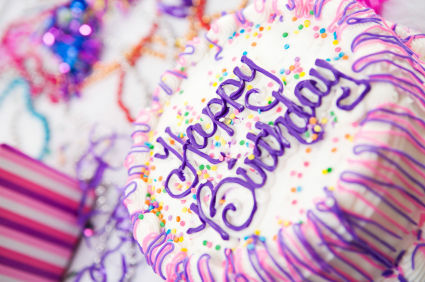 Below are some great ideas to make sure you don’t forget a thing for your next birthday party! Ensure your party is a great success. Call Popolo Catering today.